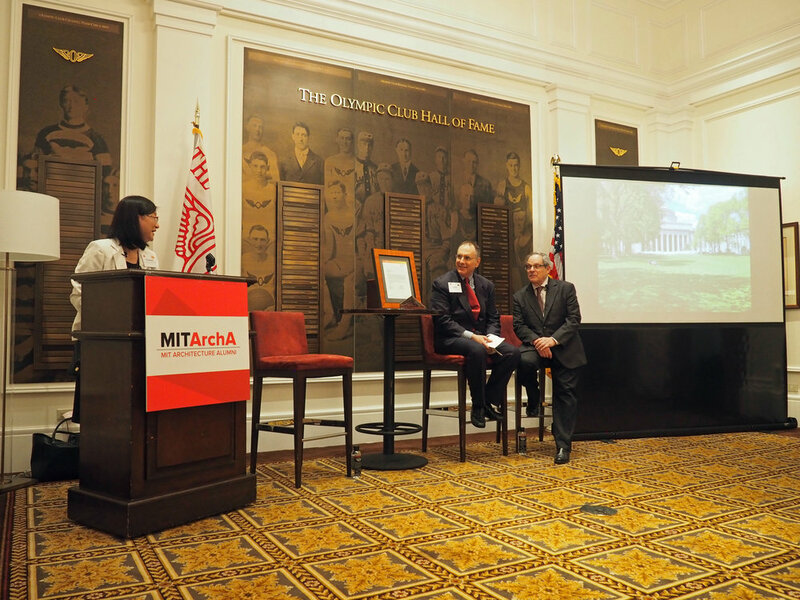 Fifty years after completing his Masters in Architecture and Planning at MIT, Jeffrey Heller is being honored with the FIRST MITArchA Alumni Achievement Award. Jeffrey Heller ’64 ’67 FAIA is president and founder of Heller Manus Architects. Since its beginning in 1984, the firm has established a reputation for influencing architecture and urban design in the San Francisco Bay Area, nationally and internationally. 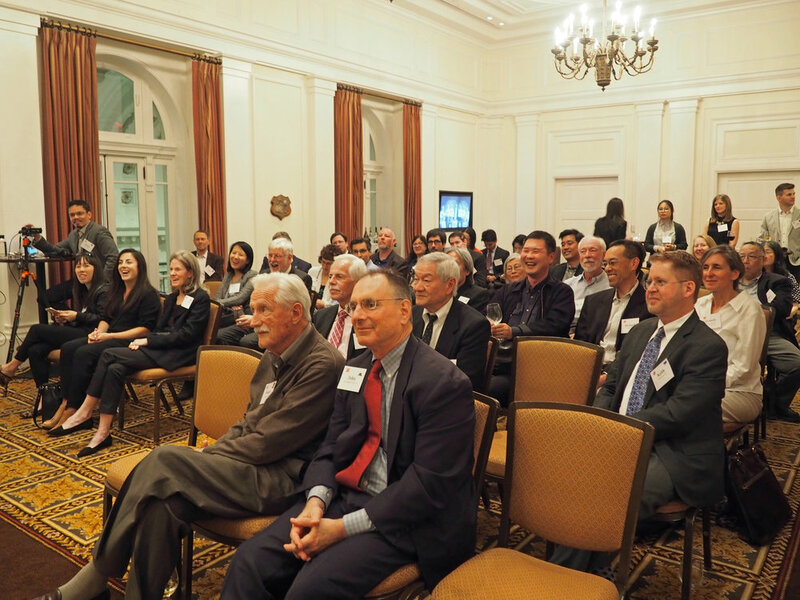 The initiative to honor distinguished MITArchA alumni was conceived and implemented by Pamela Tang (nee Chang Sing) ’83 ’85, MITArchA’s founding board member and Vice-President of Programs. The initiative quickly received the support of the MITArchA board, the MIT Alumni Office and the MIT School of Architecture and Planning. 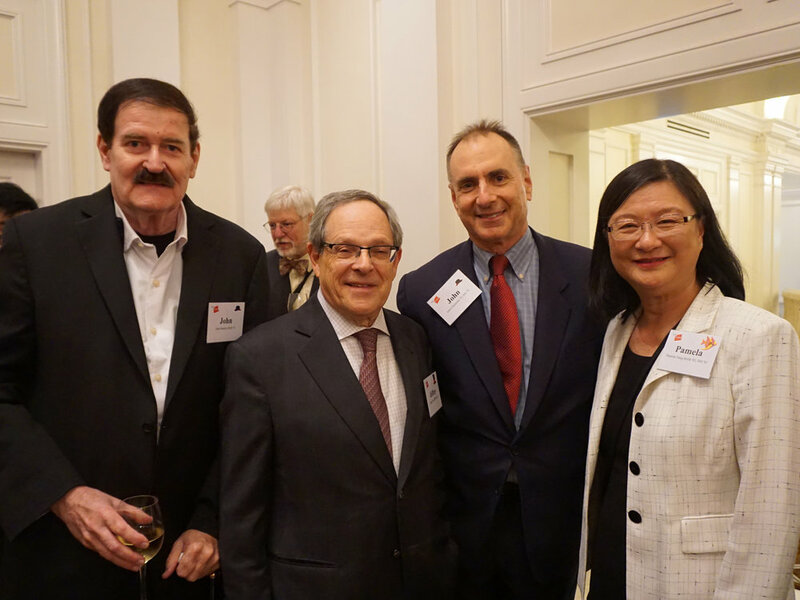 The ceremony and reception at the Olympic Club in San Francisco sold out quickly as MIT alumni and the AIA San Francisco community gathered to celebrate this honor bestowed on a fellow alumnus, a Fellow of the AIA, and a dear friend of the community. John Chisholm ’75 ‘76, MIT Corporation Trustee and immediate Past President of the MIT Alumni Association, presented the Joint Letter of the Award recognition from the SAP Dean and Architecture Head, and the original MITArchA Award designed and fabricated by MITArchA President Jacob Kain ’00. The evening was livestreamed by the acoustical engineering firm of Charles Salter ’69 which beamed the event across the evening skies to Architecture students gathered in Building 7’s Long Lounge in Cambridge and Architecture alumni across the country and the world.